Chesterfield VA Roofing offers free roof inspections, budget friendly roof repairs, and replacements. These services are offered to commercial and residential property owners within Chesterfield County VA and surrounding Communities. Services are detailed bellow. If you have a roofing need that doesn’t fit into one of our categories, contact us at (804) 835-6142 and give us an opportunity to creatively ponder a solution to your problem. Remember, estimates are always free- no obligation whatsoever. Avoid the unexpected roof leak of your home or business roof with periodic inspections performed by professional roofers. Sloped roofs that shed water and debris quickly should be inspected every 3 to 5 years unless you see or experience any faults. Commercial roofs should be inspected 2 times a year because what drops, blows in or crawls on will stay on the roof till somebody takes it off. Plus, commercial roofs generally require more upkeep because they take more of a beating from the environment- they are slower to shed water or debris than sloped roofs. ​​ Chesterfield VA Roofing will, at your convenience, evaluate the health of your dwelling’s roof system. We will provide you with a detailed written report explaining the health of your roof, potential problems, prediction of its additional life expectancy, and finally budget friendly solutions to any problems found. ​We service all types of residential roofs. Repair before replacement is the first consideration. If the slope or height of your roof is mild, fixing a few broken or blown off shingles is straight forward with the use of google to explain the process- there is indeed a method. However, if your dwelling has a very steep roof, you are physically limited or you’ve no head for heights please consider your personal safety before trying to save a few dollars to make a minor repair. 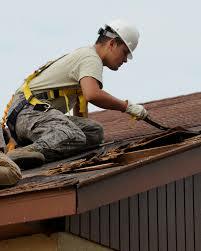 Chesterfield VA Roofing shingle repairs generally run from 200 to 500 dollars. Plus, you’ll have the added security of knowing the repair was done correctly. After intense storms have traveled through Chesterfield County and surrounding communities, we will maintain an emergency response team until the need passes- just call (804) 835-6142 and we’ll be there shortly to help. Once the storm has passed, we do send a crew out to fix tarps over the roof damage of waiting clients to prevent further moisture damage till a more permanent fix can be made. Please Note: Repairs will be accomplished with modern roofing material that will, as closely as possible, match the appearance and quality of original failing roofing material. Of course, these repairs will have to be approved by the property owner. When roof replacement is requested or required, the property owner will be provided with several quotes of options ranging from budget friendly to roofing system upgrades the owner may have expressed an interest in. ​​We repair and replace all types of commercial roofs from flat tar roofs to steeple pitched ones. Maintenance is the best way to extend the life of a Flat Roof system. Flat Roof maintenance is easier to accomplish than on a sloped roof (less chance of falling) which makes it attractive to property owners to try and save a little money by making a repair themselves. 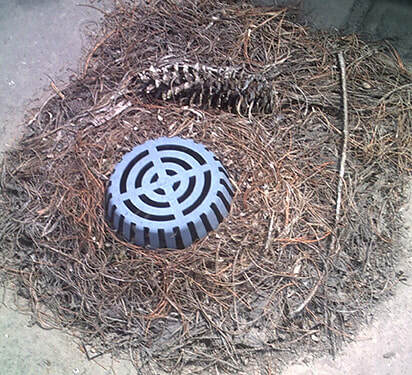 Occasionally they can sweep off dirt, leaves, or whatever else the wind blows on, and perhaps clear clogged drains with ease. 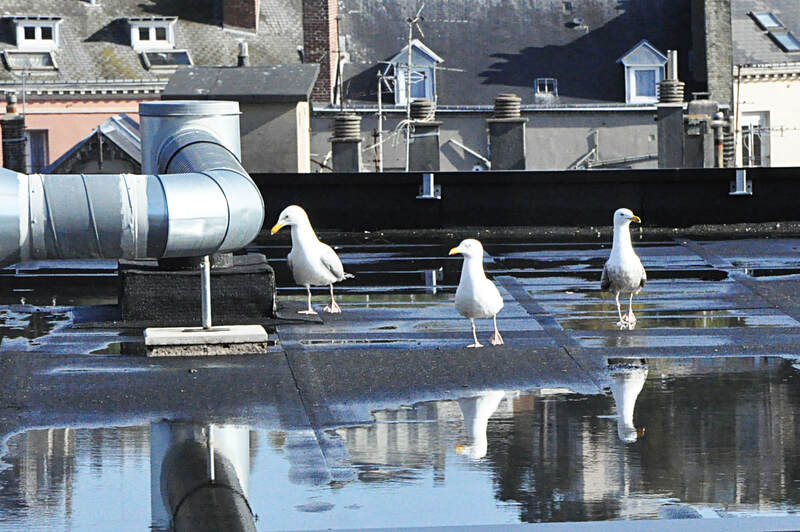 However, repairs of damage to the flat roofs system is more complex requiring expert training and specific repair procedures to seal properly.